Pickup trucks being produced larger, stronger and more durable just about every year. The 2016 RAM 2500 is most definitely not an exception as the interior is quite large with a great deal of space that includes additions such as turbodiesel engine options, climate control that is automatic, leather upholstery and plenty more. The 2016 model vehicles have been created to handle all that is thrown at them. The 2500 is great at off-road, wonderful on the drive to work, proficient at heavy hauling jobs or comfortable and useful for a great weekend trip. 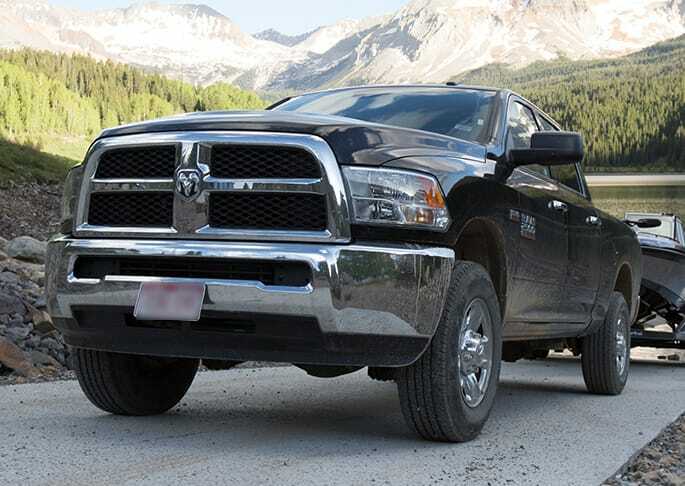 The RAM 2500 has been using a natural gas compression system and has been transitioning into regular cab models. There are tax benefits for vehicles that are parts of fleets as well as emissions benefits and may save a great deal of money for commercial owners in the long run. Cummins equipment is well regarded and the brand's Turbo Diesel motor can be selected on this vehicle in two choices. There is a manual six speed offering that is capable of creating 350 horsepower and a max torque rate of 660 lb.-ft. The additional choice is a six speed automatic transmission with 370 horsepower and 800 lb.-ft. of torque. The 2500 still utilizes gasoline engines including: The 6.4-liter HEMI is a V-8 which gives you 410 horsepower and a top torque of 429 lb.-ft. The HEMI V-8 5.7-liter unleashing 383 horsepower and torque capabilities of 400 lb.-ft. 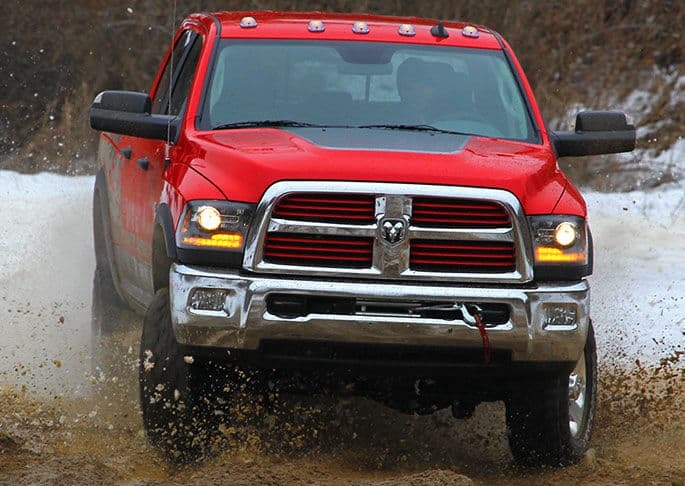 The 2016 RAM 2500 is a refined and stylish vehicle but also still remains a dependable workhorse. The top tiered models have comfortable seats made from leather along with climate control, steering wheel that is heated, interiors that are crafted from premium materials and a great deal more. There is a great deal of attention being paid to the center console which can carry larger objects like laptops and folders. The freedom, leg room and head space are plentiful on the interior of the Crew and Mega cabs and all editions have the amazing ability of the rear bench being folded up to create a flat cargo area. It has a great rear-view camera and front park assist. The camera helps quite a bit in trailer connections and monitoring cargo. Can you help me find financing for my 2016 RAM 2500? 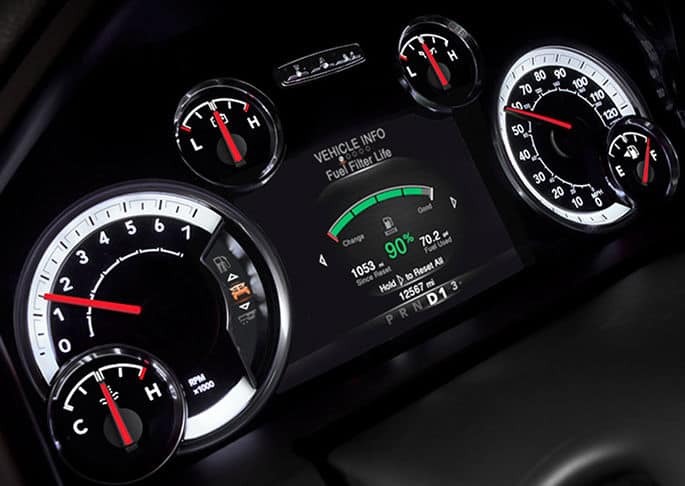 The 2016 RAM 2500 has great safety equipment including things like anti-lock brakes, many well placed airbags, tire pressure system that keep track of the levels and alerts you if there is a drop and there is control over stability and traction. Power-adjusted pedals can also be had on most all trucks in the lineup. As well as a rearview camera being available on all vehicle tiers. The 2500 has the design and ability to accomplish major hauling amounts and towing capacities that are incredible. Whatever the job may be the 2016 RAM 2500 is up to the task while providing top of the line towing, legendary durability and an overall positive driving experience.